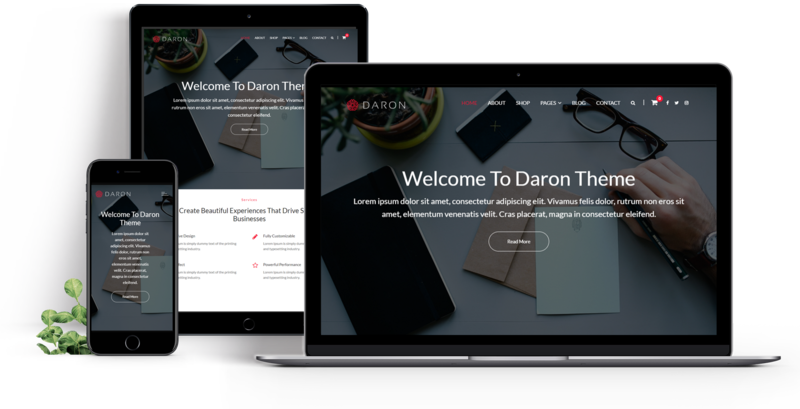 Daron is a completely clean and creative Multipurpose responsive WordPress theme. The theme is perfect for bloggers, business, freelancer, corporate, agency, portfolio, consulting, travel, e-commerce (WooCommerce). Daron is compatible with the popular WordPress extensions. The theme has a frontpage customization setting like a slider, service, blog, portfolio, testimonial sections with customized footer widget area. Beautifully Designed, Powerful, and easy to Customize - Daron Premium the best Theme For your Bussiness Showcase.